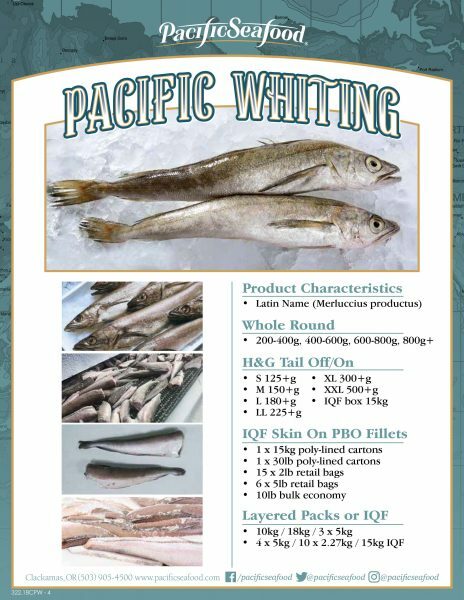 Sustainably harvested and MSC certified, from waters off Oregon and Washington, Pacific Seafood’s Pacific whiting is the most abundant fish resource off the West Coast, and one of the best seafood values around. Every spring huge schools of whiting are harvested by trawlers and delivered to processing facilities where they are headed and gutted, filleted, or processed into high grade surimi. 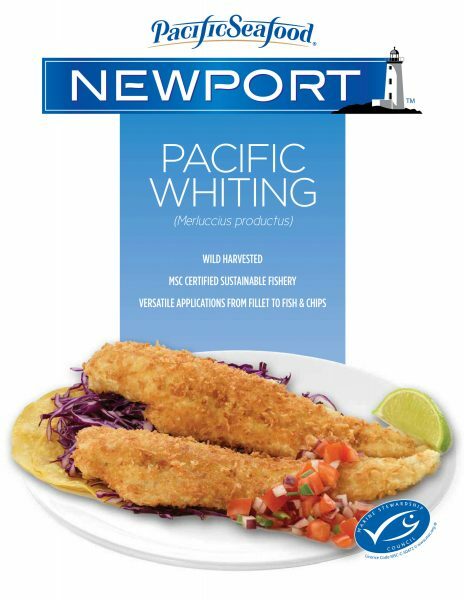 This clean tasting, white meat is easily adapted to a variety of applications, from fish and chips to pan frying or baking.